App is FREE for Everyone. 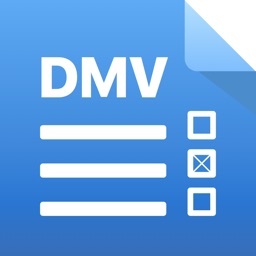 Join the 500000+ users who use DMV Ultimate to practice for their DMV Exam. 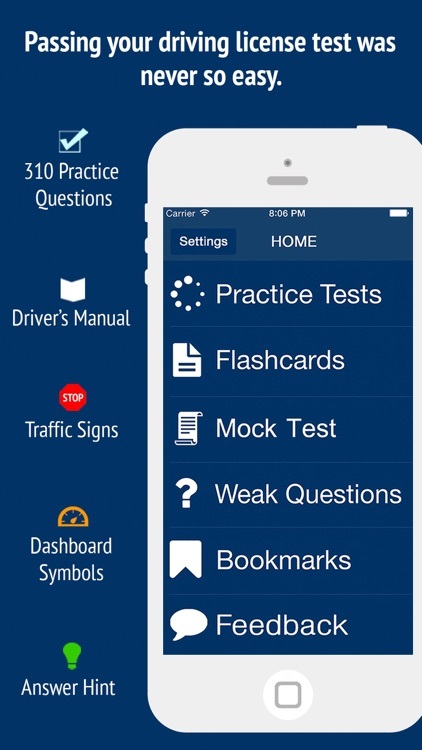 Packed with over 310+ DMV test questions, road signs and more to help you prepare for the exam. 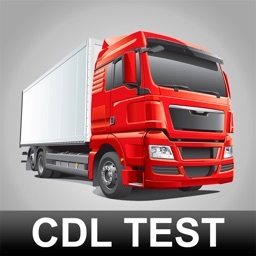 DMV Ultimate is a great companion that can help you pass the DMV Test on your first attempt. 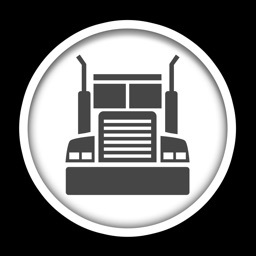 The clean and user-friendly interface allows you to get the information you need quickly. It gets out of your way and lets you concentrate on practicing for the exam. 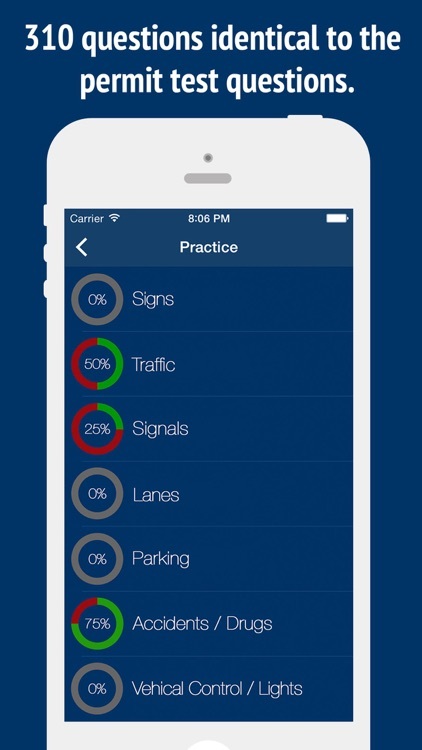 Take the practice exams to see how good your knowledge is about road rules and regulations. 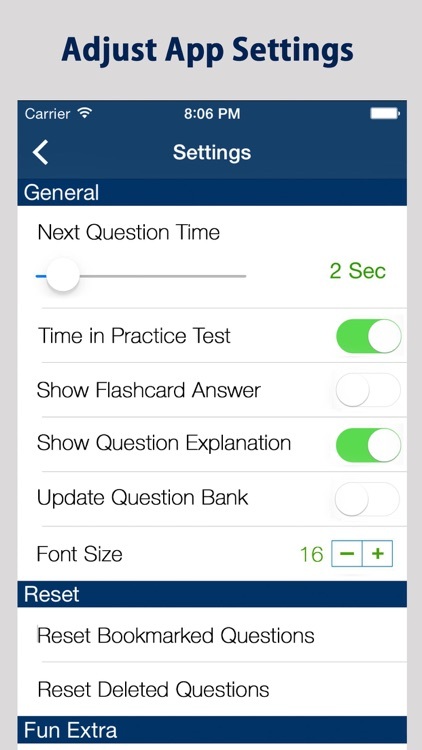 The built-in hint system will help you through the tougher practice questions. When you pass all 6-practice exams, you can be sure that you have the knowledge you need to succeed in the DMV Exam. 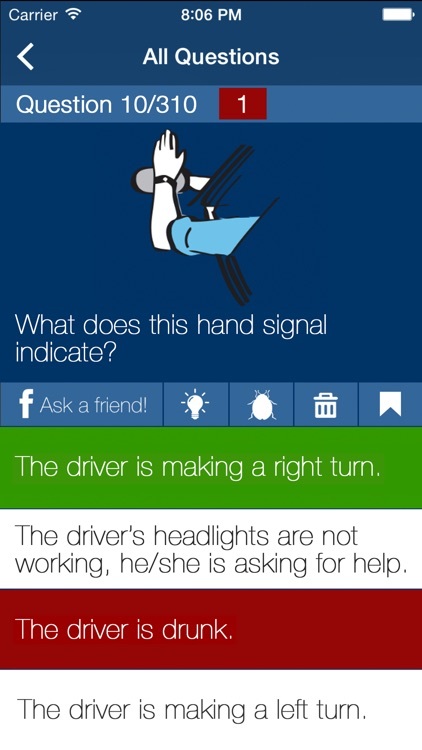 Learn your road signs easily with the simple to use swipe interface. Each road sign comes with an easy to understand explanation about the sign. 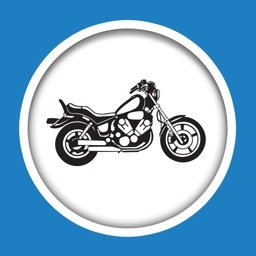 DMV Ultimate goes one step beyond and includes explanations and pictures for all Dashboard Symbols you might find in your car. Never again be clueless about a red blinking symbol. 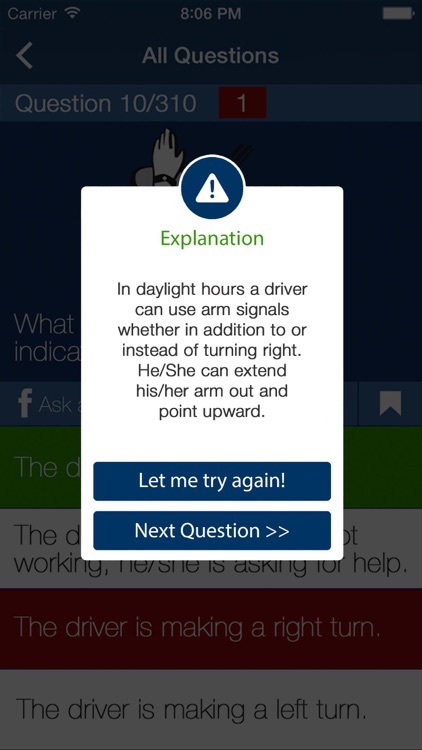 DMV Ultimate makes learning for your DMV Exam fun. 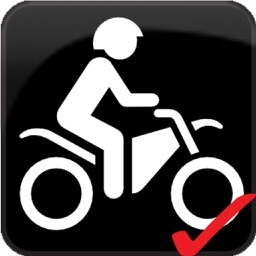 Earn Achievements for passing practice tests. Get them all and go take your test! • Over 310+ practice questions. • Swipe mechanics for easy navigation. • Ask friends for help on Facebook.